Today's card is made from products from the 2017-2018 Annual Catalog, so no waiting for product if you want to make this card. Fresh Fig is a great color for fall. Makes me think of the purple mums. 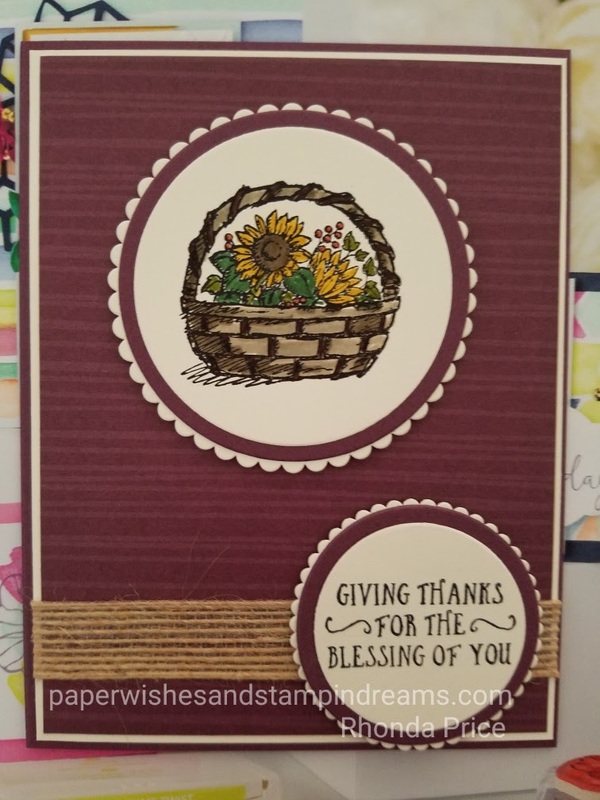 I used the Basket of Wishes stamp set for the image and the sentiment. The paper is from the Eastern Palace Specialty Designer Series Paper. The Layering Circles makes it easy to layer cardstock. Leave me a comment to let me know what you think. Follow me to see new cards as they are posted.